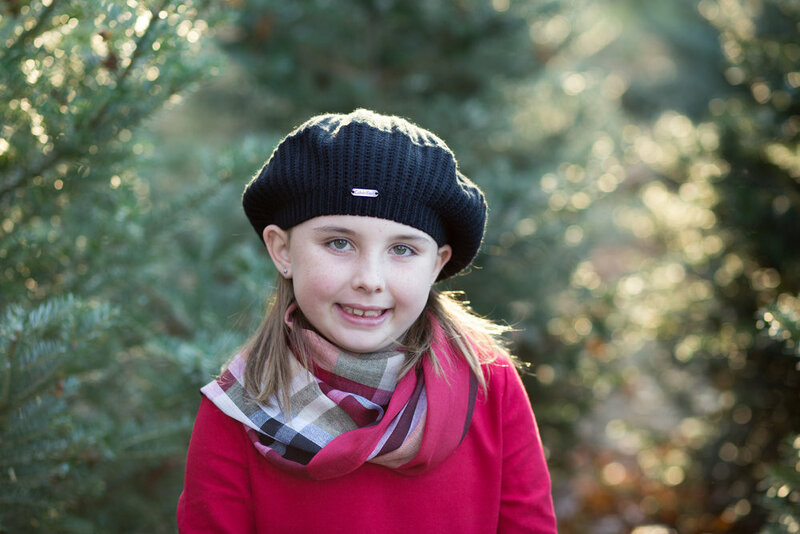 Ingraham Christmas Tree Farm was the perfect setting for holiday mini sessions this year. 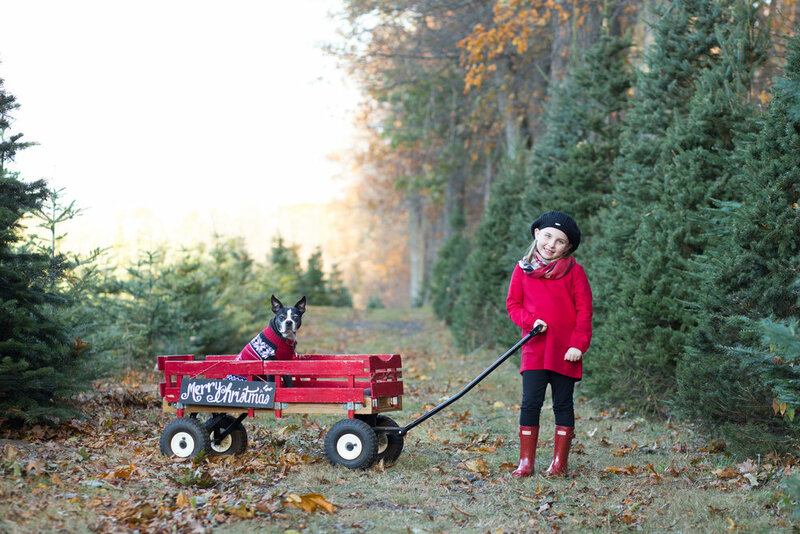 Meet Finn, a stylish Boston Terrier with his human "sister"; these two were just too adorable! When Devan contacted me to photograph her horses, I was so excited. I rode horses as a child, but haven't been around them much since. We started with Colby, a sweet 18 year old horse, 16.2 hands tall. Then, Devan brought out 1,600 pound, 18 hand Atares. Wow! Such strength! It was sweet to see Devan and her boyfriend, Josh, interact with these beautiful animals. 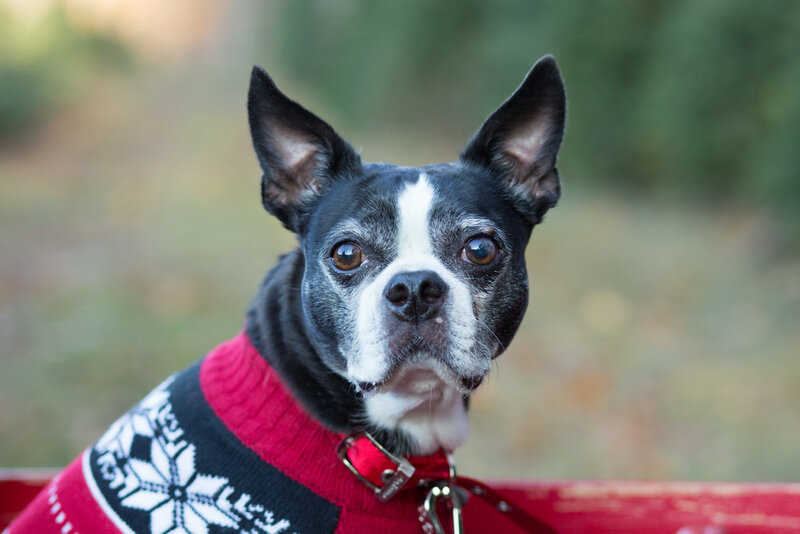 Do you have a special pet you'd like included in your photo session? Just let me know! If you're on Boston's North Shore and need someone to care for your dogs or horses, I encourage you to contact Devan's Canine and Equine Servces!